Magic the Gathering Core Set 2019 Prerelease Sat & Sun! 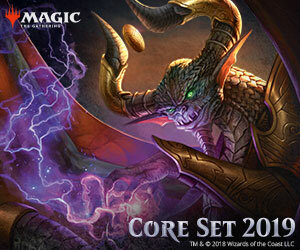 Who’s ready for the return of Core Set? Join us for Prerelease this weekend. When: Please be here no later than 15 minutes before the start time. Preregistration strongly recommended! Call 206.535.7896, email info@meeplesgames.com or in-person!